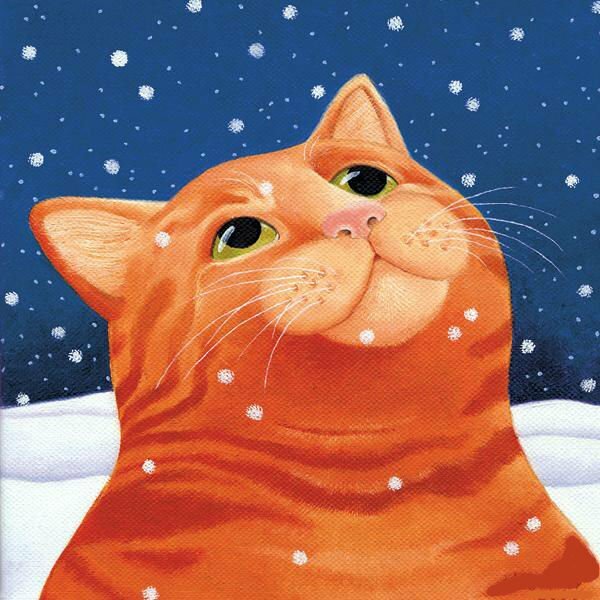 A lovely ginger moggie staring up at the snow falling. 8" x 8" handpainted needlepoint on 13 mesh. By Vicky Mount.